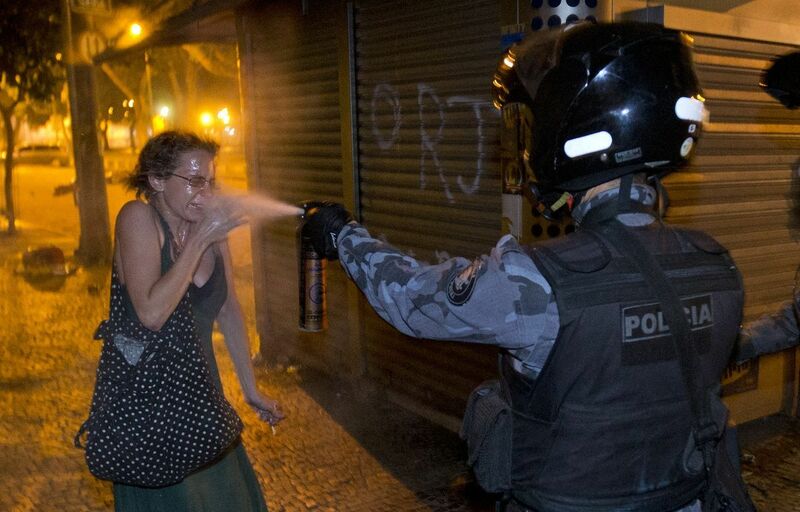 The problems in Brazil sound a lot like the problems we have here in United States. Only difference it seems is they Brazilians are trying to get things changed. 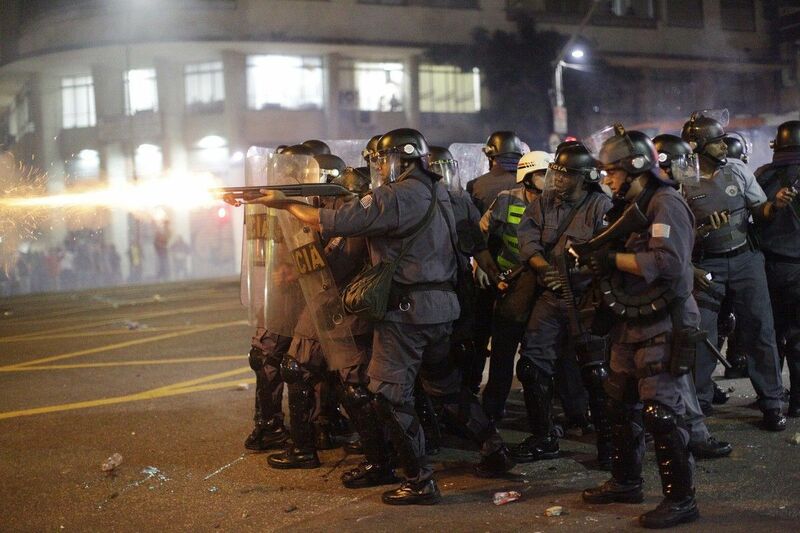 SAO PAULO  Some of the biggest demonstrations since the end of Brazil's 1964-85 dictatorship have broken out across this continent-sized country, uniting tens of thousands frustrated by poor transportation, health services, education and security despite a heavy tax burden. More than 100,000 people were in the streets Monday for largely peaceful protests in at least eight big cities. 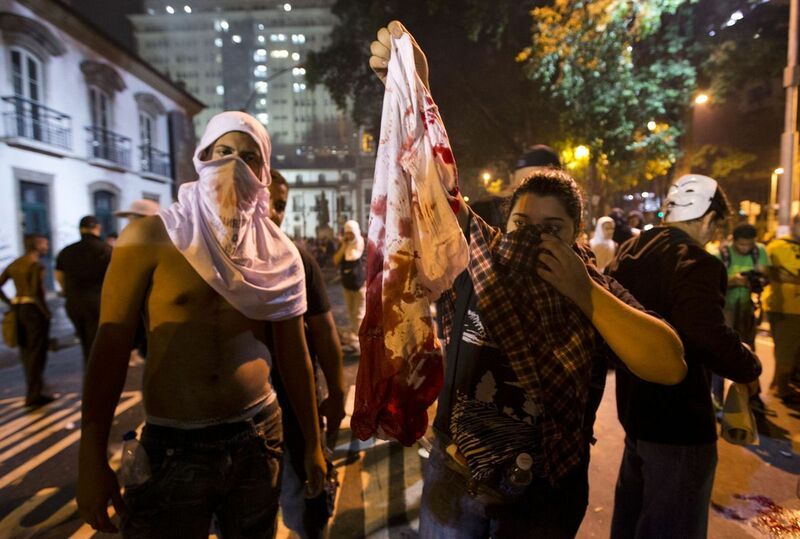 However, demonstrations in Rio de Janeiro and Belo Horizonte were marred by vandalism and violent clashes with police. 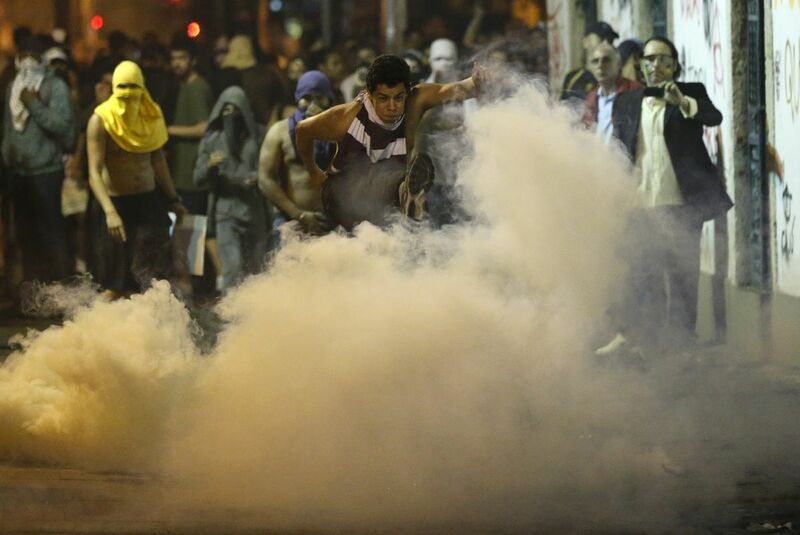 Monday's protests came during soccer's Confederations Cup and just one month before a papal visit, a year before the World Cup and three years ahead of the 2016 Olympics in Rio de Janeiro. 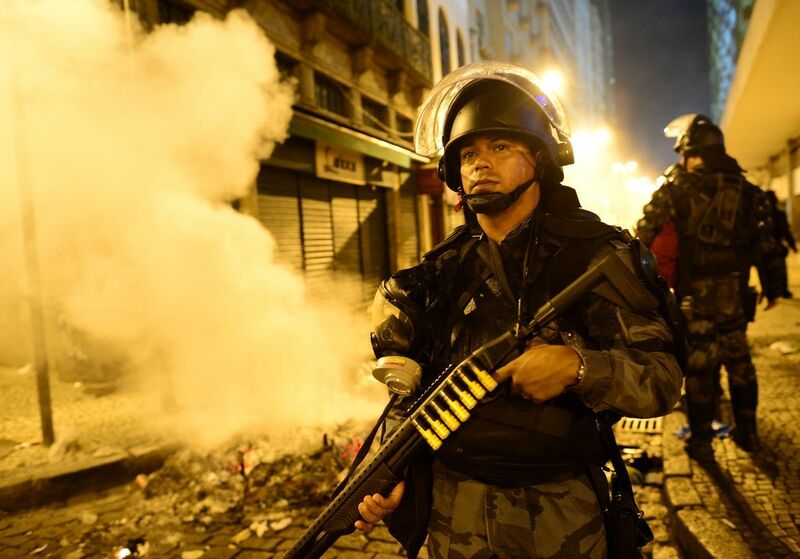 The unrest is raising security concerns and renewed questions over Brazil's readiness to host the mega-events. Brazilians have long tolerated pervasive corruption, but recently about 40 million Brazilians have moved out of poverty and into the middle class over the past decade and they have begun to demand more from government. Many are angry that billions of dollars in public funds are being spent to host the World Cup and Olympics while few improvements are made elsewhere. 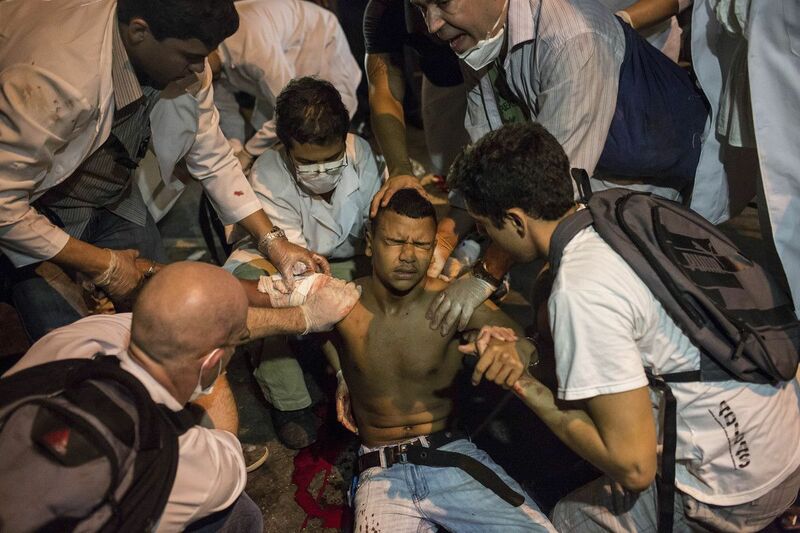 This is a communal cry saying: `We're not satisfied,'" Maria Claudia Cardoso said on a Sao Paulo avenue, taking turns waving a sign reading "(hash)revolution" with her 16-year-old son, Fernando, as protesters streamed by. "We're massacred by the government's taxes, yet when we leave home in the morning to go to work, we don't know if we'll make it home alive because of the violence," she added. "We don't have good schools for our kids. Our hospitals are in awful shape. Corruption is rife. These protests will make history and wake our politicians up to the fact that we're not taking it anymore!" In Belo Horizonte, police estimated about 20,000 people took part in a peaceful protest before a Confederations Cup match between Tahiti and Nigeria. 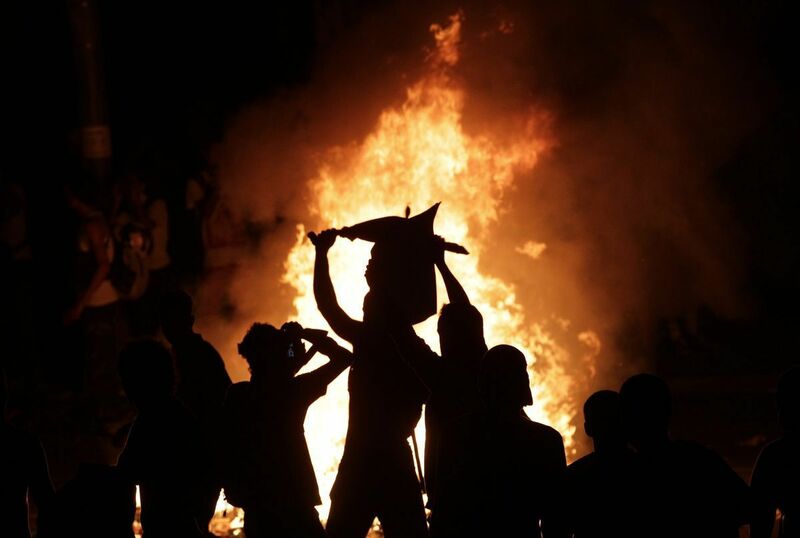 Earlier in the day, demonstrators erected several barricades of burning tires on a nearby highway, disrupting traffic. 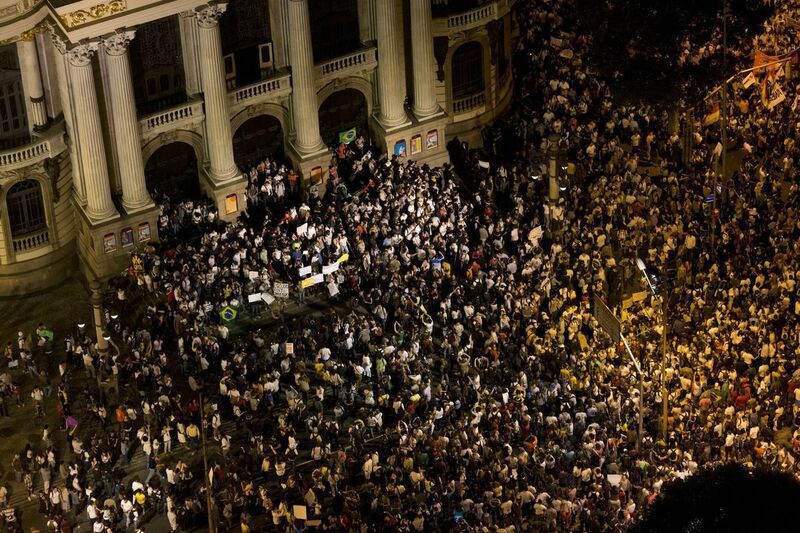 Protests also were reported in Curitiba, Vitoria, Fortaleza, Recife, Belem and Salvador. I have no faith in our government, usa, or any others. they have forgotten they were elected by the people for the people. they are all about big government, taking our rights away from us, invading our privacy, they think they know better than us what is good for us. America needs to wake up. politicians are ruining our country. our politicians are all eunichs. While I pretty much agree with you..we have to remember who elected these people to office and how they were elected. The masses don't know who they are voting for. Ask people about who they voted for. I'm willing to bet most people can't say what Obama did before he was president. If they know he was a senator, think they would know for what state or for how long? Probably not. Asking them how he runs things is out of the question. Little sidetracked..have you seen the people asking what Obama's last name is? Then there's the system itself which you have the majority of people doing the two party thing..and millions will vote for whatever party they align themselves with even if they know nothing about the person. If we want change.. it has to come from within. As long as people think we're on some high horse and better than everyone out there we will maintain the status quo. Saw this on the news just then. I don't blame the people one bit, it's highly immoral and sick. And why has the UK been dismissed??? We've GOT stadiums - new Wembley for starters - travel links, hotels, etc. Plus we're not as risky to the tourist as Brazil is reputed to be. Absolute madness. Compare this to the silent protest in Turkey (see here: http://www.bbc.co.uk/news/world-europe-22949632). The contrast between the 2 protests is ridiculous! I kind of get where they're coming from on this, but I wonder if they're taking into consideration the surge of revenue tourists would bring to the country during an event as massive as the Olympics. Seems like short term pain for long term gain.